We loved your resort, clean, quiet. Our boys loved the basketball court and your pool. the hotel and its amenities were great, but the room needs more work; old TV, AC broke, carpet nasty. Enjoyed the stay, there were a few things in the room that needed fixing, the hair dryer was broken it was a good thing I brought my own, when we arrived the key box wouldn't work never was fixed during our stay, several of the lights we out. the TV in the master bedroom didn't work. Most of all they charge a $80 cleaning fee but as a guest you have to do the most of the work before you leave , also you are charged a $200 security deposit and it has taken days to return the deposit. Very clean apartments and awesome pool! The family really enjoyed our stay. The location is perfect and there is so much to do on the premises. They will also give you a number to discount disney tickets. Everything was clean and comfortable. The only thing I wasn't took fond of was the couch and the twin beds upstairs. I thought we were going to have 2 double beds in one of the rooms but instead they were twins which is totally fine but the twin mattresses were pretty awful. The couch has some major wear. It barely had any cushion but other than that, We really loved our stay. Very neat and the tub was super nice. I will definitely stay here again with the family. The house was very nice. Well equipped with everything we needed. Grounds were beautiful. We didn't get to experience the pool as much as we'd of liked, but other was beautiful. Only thing we were upset about was the couch. For some reason it was a pull out couch and it was very uncomfortable. Great place, great amenities, affordable price!!! The house was very nice and clean. There was a variety of activities on the property for the family to enjoy. My only issue was I had no WiFi. We had a very enjoyable time for the month. The only thing lacking was the Wi-Fi connection was very poor. Unit consisted of 3 bedrooms, two full baths, full kitchen (two levels). thanks! we hope to have you back soon. Fantastic place with a safe family intertainment facilities. I believe the property should of been better equipped with toilet paper and garbage bags. The washer softener dispenser was broken. The ceiling in the kitchen was dirty. Also no WIFI. But overall I would stay there again. Was an excelent experience.Very interesting and delicius restaurand in the area.The trafic around the area was very safety and the property location too.I will recommend this property to a friend and family. The villas at seven dwarfs lane en un lugar que se encuentra cerca de todo y con las comodidas necesarias para poder disfrutar unas vacaciones en Orlando. 100% Recomendable !!!! Our family has to book 2 rooms whenever we travel. Inside was large enough for the 6 of us, for sure. Our family enjoyed ourselves while at the Villas. It was close enough for our visits to Disney & Universal. Kids enjoyed swimming at pool. Would visit again next time in the Orlando area. 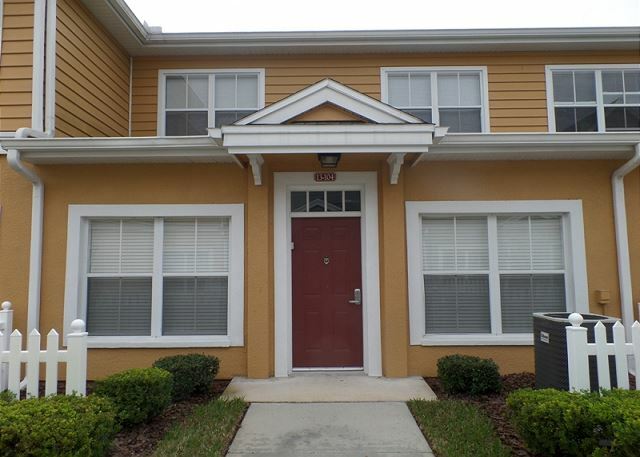 We stay in a 3 bedroom townhome at The Villas at Seven Dwarfs and we really enjoyed our stay. We will book again there! Really nice resort with helpful staff. Close to major attractions, daily necessities within walking distance. Really enjoyed the resort amenities, especially the pool. Only con was that internet only was available at the clubhouse. We'll be back! A very enjoyable vacation. Would use The Villas again.